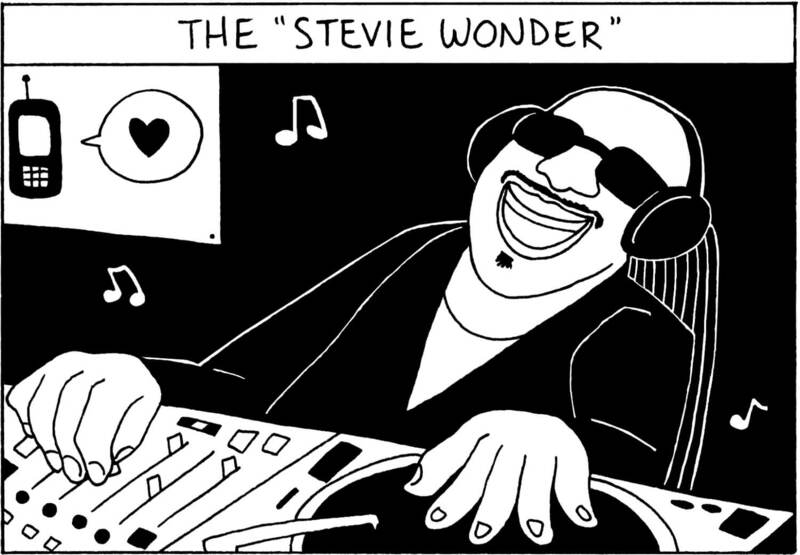 The Stevie Wonder involves throwing ones head back and possibly shaking it in a “no” motion. Sometimes this move resembles Stevie’s signature head sway. 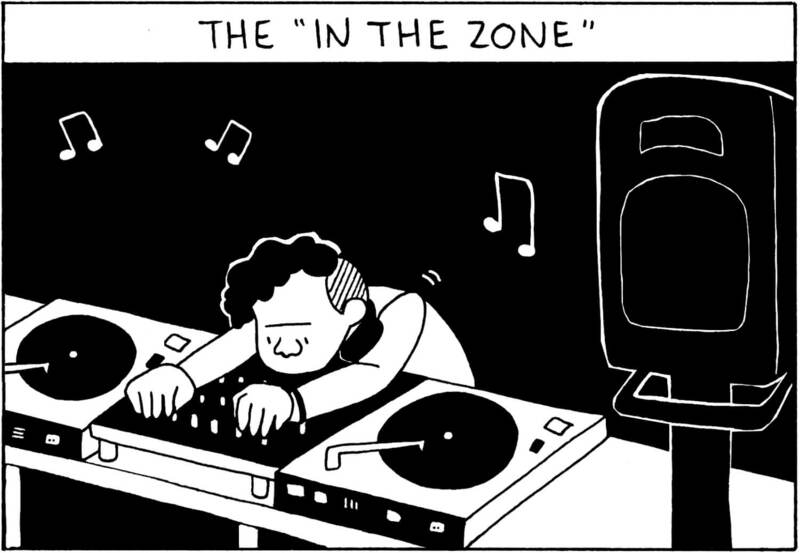 Typically exhibited by: vocal house DJs when they’re really feeling the vibe and probably working the filter (ie. Spencer Parker, Joe Clausell—who basically is the Stevie Wonder of DJing). DJs reach out and touch somebody when amped crowd members extend their limbs over the booth, yearning for personal contact with the person who’s currently blowing their mind. Typically exhibited by: DJs who are killing it and/or very effusive (ie. The Black Madonna). This one’s not even a dance move at all; it’s a lack thereof. Typically exhibited by: very serious techno, experimental or clicks & cuts DJs. The best example is Snd’s Boiler Room live set from 2013. 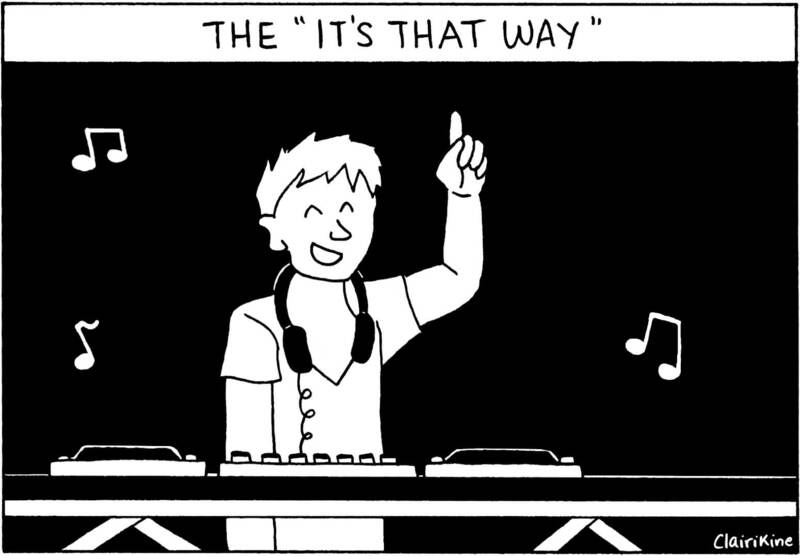 When the DJ puts one or both hands up in a sort of salutation to the audience, they’re pulling a classic DJ dance move. Typically exhibited by: EDM DJs. The illustrations were designed and executed by Clairikine. 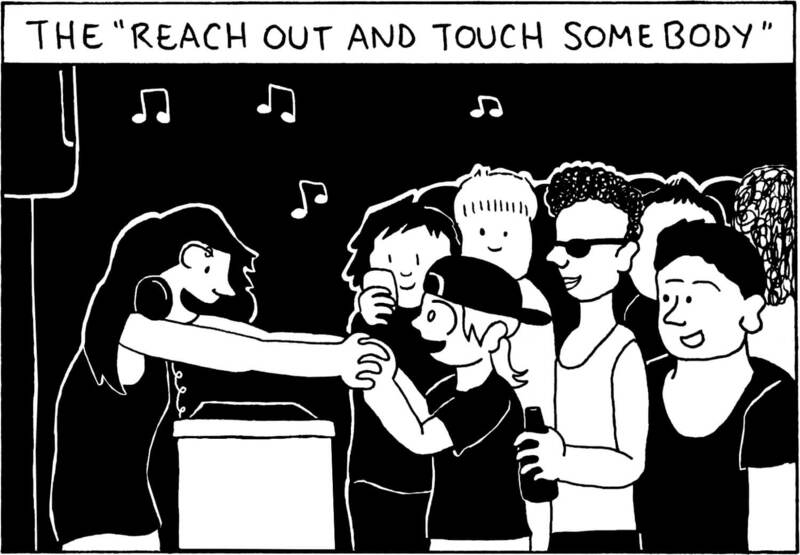 Find more of her work in our previous cartoon column, “4 Things To Do When You Get Home From The Club”, our conversation with Avalon Emerson and via her website, Clairikine.com.